A $1.8 bln scam at Punjab National Bank comes just months after the government injected $32 bln to bail out 20-odd state-run financial institutions. The scandal may increase calls for them to be privatized. Elsewhere: Will Sky be the limit for Comcast, Disney or Fox? 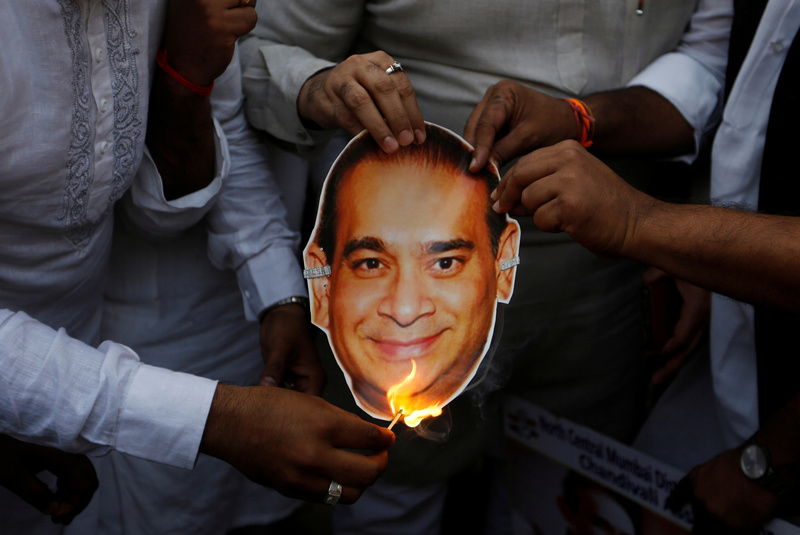 Activists of the youth wing of India's main opposition Congress party burn a cut-out with an image of billionaire jeweller Nirav Modi during a protest in Mumbai, India, February 23, 2018.